La Rambla: Las Ramblas, as it is also known, is a thriving tourist hot-spot, with its leafy avenues, street performers, iconic statues and myriad collection of shops. A number of different streets make up La Rambla, each a pedestrian boulevard with unique character. A noisy bird market in one section, an 18th-century rococo mansion in the next. The Gran Teatre del Liceu, a famous 19th century opera house, is also located here. 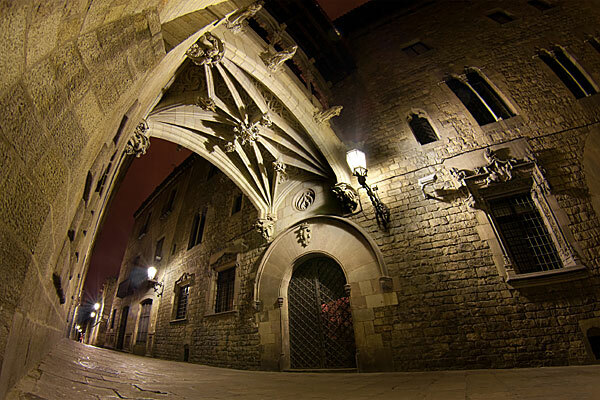 Barri Gotic: The medieval centre of Barcelona is still preserved in this maze of narrow streets, historical squares and Gothic architecture. If it’s history you’re looking for, this is the place to be. Located in the heart of the city, the charming squares are lined with 14th century buildings, fountains and castles. Browse through the numerous cafes, make a stop at the iconic Catedral, and take in the magnificence of the Roman walls and the bell tower. Park Guell: Something out if a fairytale, this. Renowned architect Gaudi worked on this project for 4 years- from 1900 to 1914. A fascinating experience with stretches of winding walkways, mosaic installations and sensational views of the city and ocean. La Sagrada Familia: A magnificent structure and the life’s work of Antoni Gaudí. What was visualized as a great medieval cathedral with three main facades- representing Passion and Death on the west, Nativity on the east and Glory on the south- is still not complete after a 100 years of work. A must-see while in Barcelona. Museu Picasso: Visit Barcelona’s most popular museum housing Picasso’s early works and impressionist creations. Situated on the Carrer de Montcada, three beautiful stone mansions showcase his ceramics and canvases from the 1890s. The second level shows work from Barcelona and Paris from 1900-1904. His later, more complex work from 1957 is also on display. 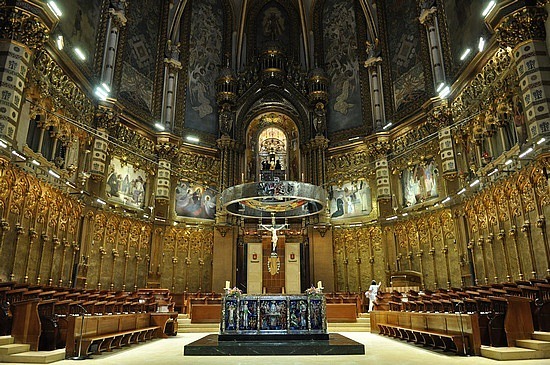 Montserrat: Atop a 4000 ft mountain, this is the spiritual centre of Catalonia. It is home to the 16th century Benedictine Monastery and the 12th century wooden sculpture of La Moreneta (Black Virgin). It is an attractive pilgrimage destination and can be reached by car, train or cable car. Nova Icaria: Situated close to the Olympic Marina, this beach is food lover’s paradise. Spend a day on the golden sands hopping the numerous beach bars and popular restaurants. Bogatell: To get away from the hustle-bustle and noise of the city, head to this long stretch of sand and sea. The stone walkway here is perfect if you want to jog or cycle along the beach. The raised promenade blocks out the city noise and there are no noisy bars here either. Barceloneta: For a fun day out with the family head to this wide, long stretch flank by a wooden deck. The beach is lined with American eateries serving pizza, Tex-mex, and other dishes the kids will love. Sitges: Take an excursion to the quaint town of Sitges, 40km south of Barcelona. Situated along the gorgeous La Joya del Mediterráneo beach, the town is dotted with museums, colonial style houses and open terrace bars and restaurants. Take a walk along the beach, enjoy a nice meal and experience the colourful night march as the sun goes down. 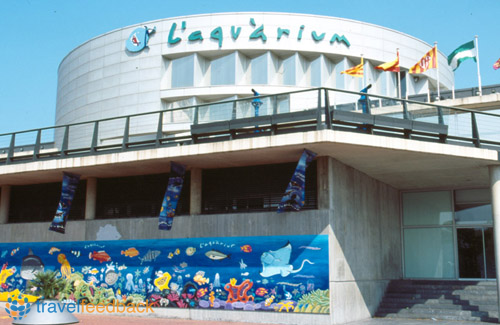 L’Aquarium: 450 different species of marine life, an 80 meter long underwater tunnel, 6 million litres of water, this is the only Oceanarium in Europe. See what life is like in the waters of the Mediterranean. Flamenco Show: Experience the magic of a feisty flamenco show alongside a typical Andalusian dinner on your night out. Set in classic Spanish surroundings with a variety of music and dance, this passionate dance form is like no other. 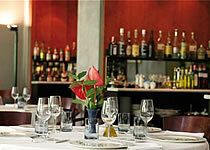 Swirling colours, singers, guitarists and dancers ensure entertainment while you wine and dine. FC Barcelona: For ardent football fans, no visit to the city is complete without a visit Camp Nou, home to the legendary Spanish football club. It is the 3rd largest football stadium in the world and can seat 1,10,000 people. Universal Port Aventura: An amusement park, a water park and a great beach- all at Port Aventura. Port Aventura Park offers sights and experiences from different corners of the globe. Mexican rancheros, Chinese acrobats and dragons, Polynesian Paradise birds, Mediterranean exhibits of fire and water, and cowboys and can-can dancers of the west. Make a splash at the Caribe Aquatic Park set against a tropical backdrop. Enjoy the sun, sand and water of the Mediterranean and relax on the beach. Tibidabo Amusement Park: 25 minutes from Placa de Catalunya you reach the top of Mount Tibidabo. With a magnificent view of the city, this charming little theme park is one of Europe’s oldest. It is suited more for younger children, with safe rides and costumes characters. Churros y Chocolate: Chocolate lovers, celebrate! A speciality of Barcelona is a hot chocolate drink so thick and creamy that it needs to be had with a spoon. This is served with a kind of shortbread, called Churros. Dip it in your steaming mug of chocolate, and it’s cocoa heaven. There are a number of chocolate restaurants over the city; La Granja and La Pallaresa are two popular ones. Casa Amalia: For a taste of local Catalan cooking, visit the brightly decorated Casa Amalia. The set menu, or menú del día, is a four-course affair at a great price. Neichel Restaurant: A classy, exotic affair located in the heart of the residential district of Pedralbes. Try exotic Mediterranean cuisine with a French twist. Sounds unbelievable, doesn’t it? San Pau Restaurant: Located in Sant Pol de Mar, with a garden and a beautiful view overlooking the sea. The menu changes according to season and offers traditional Catalan cuisine. El Sortidor: Offering a range of Italian, Mediterranean and Catalan cuisine, the El Sortidor is somewhat a historic icon, having being around from 1908. Try the pappardelle, a broad ribbon pasta from Italy. If you’re in the mood for couscous or raucous Irish music, head there on Friday night. Dolso: Sweet tooth? Don’t fret! Save dessert for Dolso, and take your pick from a range of staples like tiramisu or exotic concoctions like nemesi de chocolate (a chocolate pastry with cream of passion fruit) The menu here keeps changing, so if you like to experiment, this is the place for you. Liquid: Dance the night away amidst swaying palms at this little island. Surrounded by a moat, local and foreign DJs frequent this bar. There’s a series of different internal spaces and a pool as well. La Caseta del Migdia: Situated below the walls of the Montjuïc castle with a great view of the sea. Laze around on a hammock as lounge music plays in the background, and enjoy your cocktails and BBQ meal. 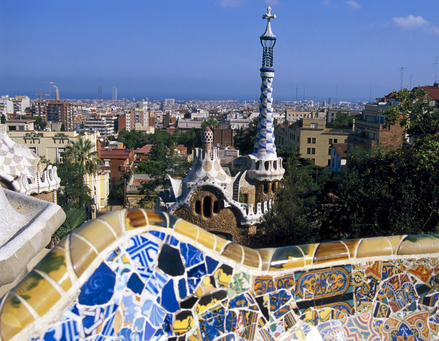 Barcelona is among Europe’s most stylish cities. The brand conscious will be spoilt for choice with the range of design outlets offering jewels, furniture, haute couture, art and collectibles. 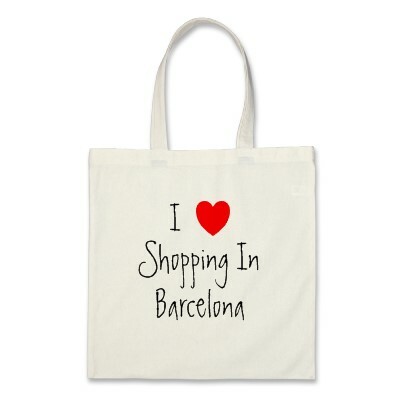 Shop at the ‘Axis’: The axis is a 5km stretch up from La Rambla through Placa de Catalunya and onto Passeig de Gracia. The area from the Avenue Diagonal to the Placa de la Reina Maria Cristina is a perfect place for ardent shoppers. Designer Wear: A host of international biggies have set up shop here. Versace, Cartier, Calvin Klein, Armani etc. Department Stores: El Corte Ingles is one of Barcelona’s favourite department stores, stalking everything you’d need across several floors and located conveniently all over town. The winter sale in January is a great time to shop here. FNAC has a great range of books, CDs and videos. Markets: Everything you could imagine at bargain prices. Only at the Fira de Bellcaire. Also known as Large Els Encants Vells (or ‘the old charms). Every Monday, Wednesday, Friday and Saturday. Mercantic is a great market for antique collectors, open every Sunday. Festively painted timber huts stalk everything from old telephones to furniture. Souvenirs: If football defines your life, head to La Botiga del Barca. Pick up memorabilia in the bright red and blue colours of the home team. Situated in the football museum next to Camp Nou, it also has branches all over town.